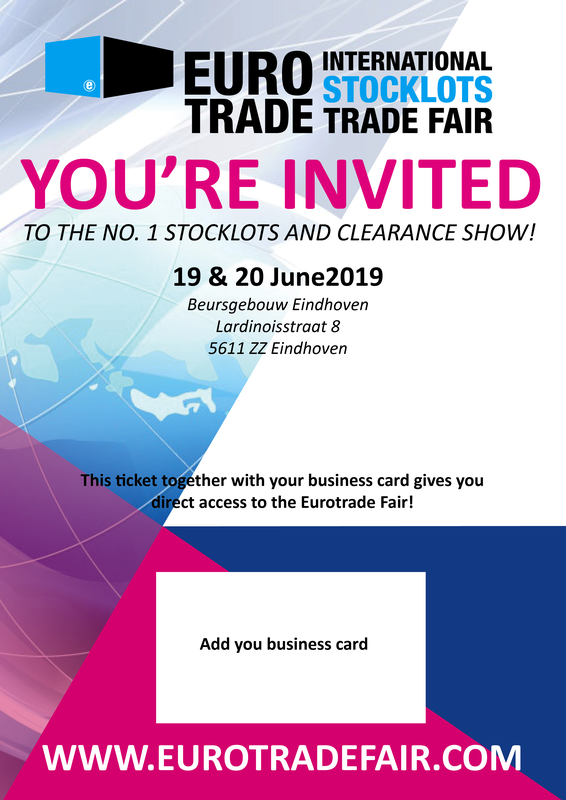 Let your customers and your website visitors know that you have a stand at the Eurotrade fair. Together we can invite more buyers than ever before! Send your customers a special E-ticket which offers them free access to the trade fair. Click below button for the E-tickets. Download the promotional banners below and include them in your E-mail signature and/or put the banners on your website.